Lately we’ve all kept on plowing Instgram with different models of pants. Came into my wardrobe thereafter and wide leg palazzo pants. 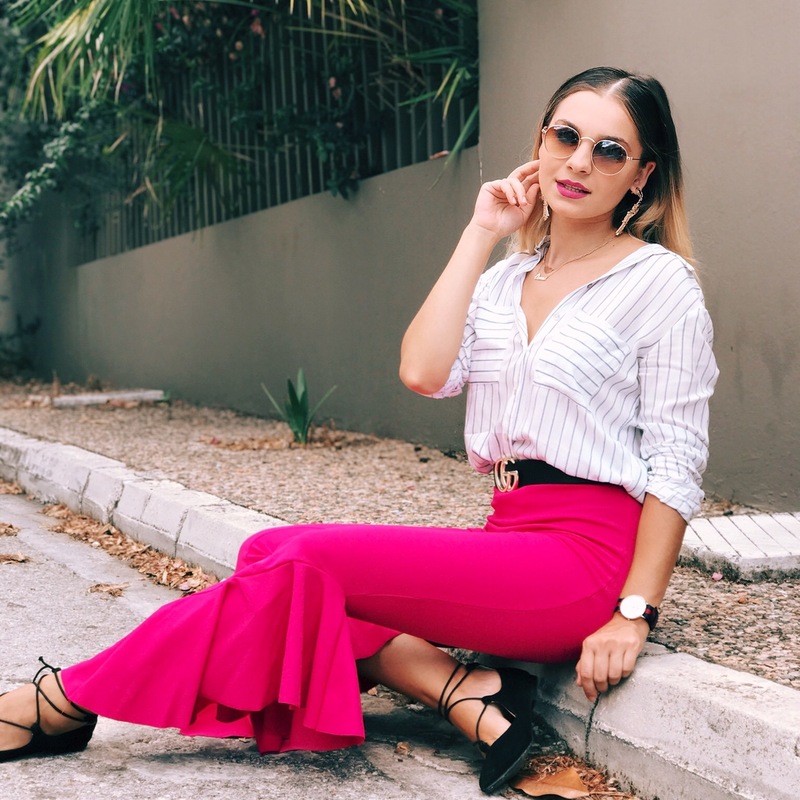 Palazzo trousers are popular as a summer season style, as they are loose and tend to be flattering in light, flowing fabrics that are breathable in hot weather. I don’t have a definition for them, and I don’t know if they have a definition, but I know that there are several ways such as: standing straight, tight can realize more or at the top or straight top to bottom, long or short. But i know that palazzo pants for women first became a popular trend in the late 1960s and early 1970s. The style was reminiscent of the wide-legged cuffed trousers worn by some women fond of avant-garde fashions in the 1930s and 1940s. Today I want to show you a couple who I love very much and a few modelsthat I want for this summer and even fall from one new shop from me Dresslily . Cat de mult imi plac pantalonii!!! Combinatia este perfecta! I’m crushing over these magenta pants! The ruffles on the bottoms are just so elegant and fun at the same time! I really love these palazzo pants on you, girl! I believe I saw you wearing a similar pair in yellow on Instagram? You’ve really been rocking them and they look so good on you! Thanks for sharing, beautiful, and I hope you’re having a great week so far! omg these pants are so cute! and they look so comfy! i have to try these! !